Tailored solutions are part of what we do at Stoughton Trailers. In fact, we can offer you the customized dry-van equipment to keep you on the road as well as the financing plan to get it there. 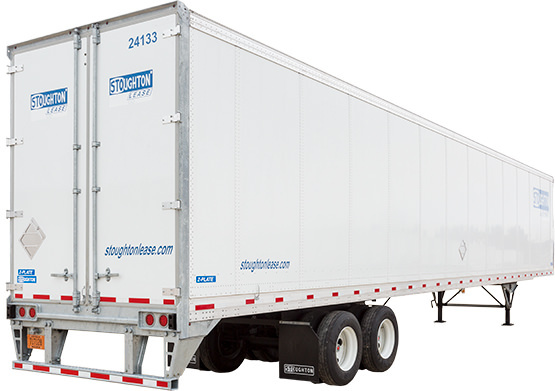 The Stoughton Trailers Acceptance Company (STAC) offers competitive, customer-focused plans from an experienced staff that is there to help you and your business obtain the equipment you need to keep running strong. If you are interested in STAC’s financing options or if you want to let us help you acquire the equipment you need, please call us at 608-873-2500 or download an application below. When leasing Stoughton Lease™ equipment, you have several options to choose from. We will work hard to find the best lease option to fit your company and your customer’s needs. The most classic trailer leasing option available is an operating lease. This lease will likely give you the lowest lease payment. Operating leases can also be structured with additional flexibility like early termination clauses and trailer swap options. You also have, in the future, your choice of maintenance plans with an operating lease. Full service or net/net type programs can be structured to fit your needs. A lease with a purchase option gives you the flexibility to purchase the semi trailer at a pre-arranged price at the end of the lease period. You now have the choice to buy the trailer, or turn it back in and walk away. You can also have an early termination option on this type of lease which gives you even more flexibility. With a conditional sales contract you lease the trailer with the intent of ownership at the end of the lease period. The purchase price at the end of the contract can be a bargain basement option such as 1.00. This option is available for certain used trailers only. Click here for a flyer with a list of Stoughton lease locations. For additional information please visit our website at www.stoughtonlease.com..